This is the second installment in the Green Turtle Cay 101 series. The first post can be found here: Green Turtle Cay 101: An Introduction. The first thing you need to know about getting to Green Turtle Cay is that it takes a bit more planning than traveling to a major tourist center. The second thing you should know is that the extra effort is so worthwhile. To get to Green Turtle Cay, you’ll need to travel to the Bahamian island of Abaco. From there, you’ll take a small ferry from Treasure Cay (which, despite its name, is actually located on the Abaco mainland) to Green Turtle Cay. Most visitors to Green Turtle Cay arrive by commercial airline. Direct flights to Abaco are available from a number of Florida cities, including Miami, Ft. Lauderdale, Palm Beach, Daytona Beach and Orlando. Depending on your departure city, the flight from Florida takes roughly an hour. 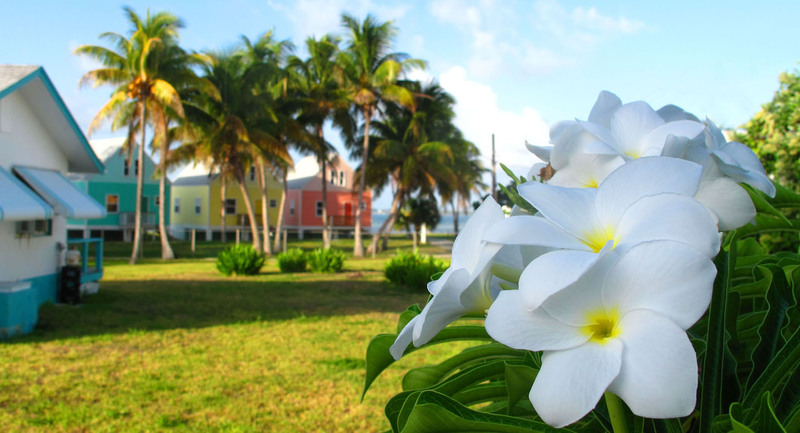 You can also fly to Abaco from the Bahamian capital of Nassau. This trip takes a little over 30 minutes. The second Abaco airport, in Marsh Harbour (airport code MHH), is about a 45-minute taxi ride away from the Green Turtle Cay ferry dock. However, many more flights arrive into Marsh Harbour each week, so you’ll have a greater range of travel options from which to choose. Airlines that fly into Marsh Harbour include American Eagle (from Miami), Silver Airways (from Orlando, Ft. Lauderdale, West Palm Beach and Jacksonville) and Bahamasair (from Nassau). 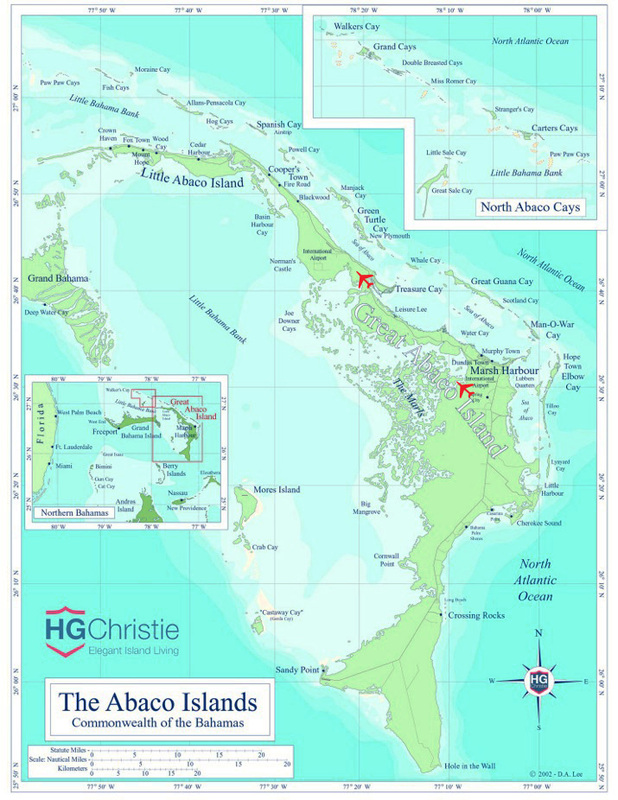 A number of smaller charter airlines, including Island Wings, Abaco Air, Airgate, Air Share Unlimited, Craig Air, Baer Air, Cherokee Aviation and Bahamas Express, also service MHH. Whether you fly into TCB or MHH, there will be taxis waiting to meet the flight. From the Treasure Cay airport to the Green Turtle Cay ferry dock, it’s a 5-minute ride and about $15. From Marsh Harbour, budget 30-45 minutes and $80 or so, one way. Most taxis are mini-van type vehicles that comfortably seat at least four adults plus luggage. 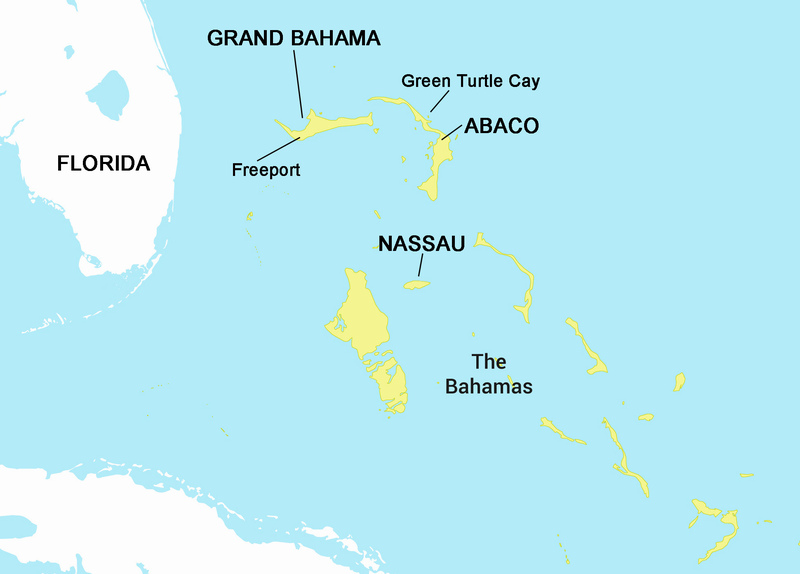 the Abaco mainland and Green Turtle Cay. As is common in the tropics, Bahamian weather can be unpredictable, which can lead to flight delays. If you’ve got connections to make, it’s a good idea to schedule a bit of extra time between flights. If your trip home from Abaco to the U.S. takes you through Nassau, you can clear American Customs and Immigration there. If you fly straight to the U.S. from Abaco, however, you’ll need to clear Customs and Immigration at your first point of entry. Again, if you’ve got a connection to make, consider scheduling extra time between flights. Not all routes to/from Abaco are serviced every day, so it helps if you can be flexible when it comes to travel days. 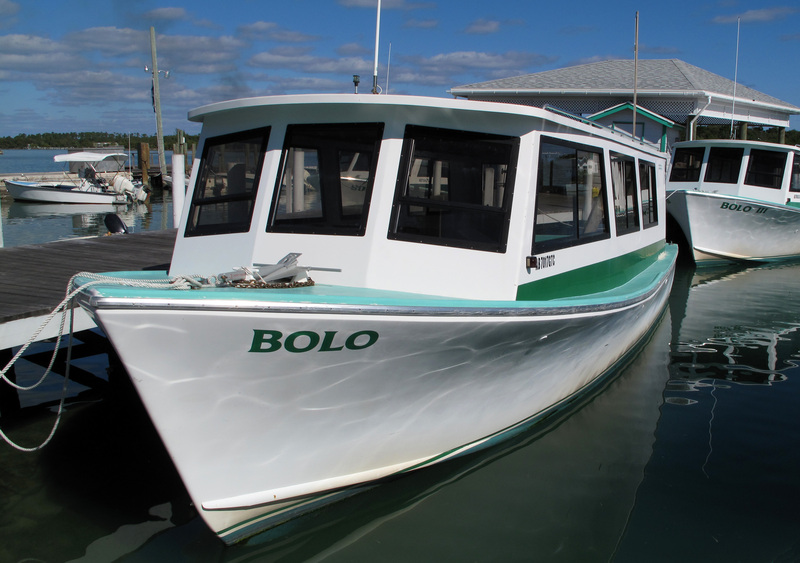 If you have questions or need advice about getting to Abaco or the Abaco Cays, check out the Abaco Forum. Forum members routinely travel all sorts of routes (air and sea) to Abaco, and they’re happy to share experiences and offer suggestions. Though Green Turtle Cay isn’t shown on the official “ports of entry” list, I understand you can clear customs and immigration here. The Customs office is in the pink government building on Parliament Street in town. Call in advance (242-365-4077) to check on their hours. If you arrive late in the day, you can clear the next morning. For detailed guidelines, see the Entering and Exiting by Boat page on the Bahamas Ministry of Tourism’s website. In most cases, these are less practical options, but they’re worth mentioning. 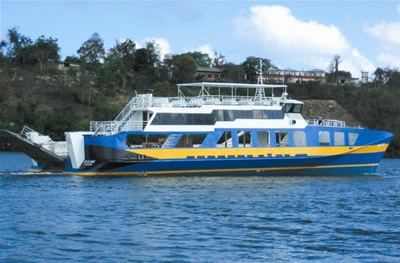 During the summer months, a fast ferry (which accommodates vehicles as well as walk-on passengers) travels weekly from Nassau to Sandy Point, at the southwestern tip of Abaco. Unfortunately, there are no car rentals in Sandy Point, and the taxi fare from there to Treasure Cay will run you well over $150. Having said that, if you have access to a vehicle or plan to rent a car in Nassau, this option may make sense. The trip takes about six hours. 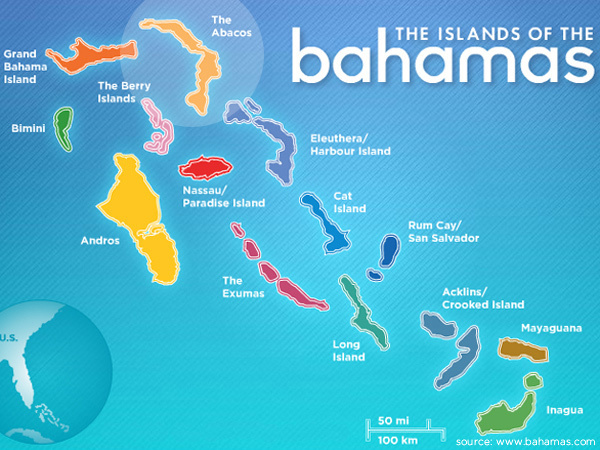 For more information, visit Bahamas Fast Ferry. A preferred alternative for Abaco lovers who don’t like to fly, Pinder’s Ferry provides twice-daily service between Grand Bahama (the Bahamian island immediately west of Abaco) and Crown Haven, at the north end of Abaco. You can cruise aboard the Bahamas Express from Ft. Lauderdale to Grand Bahama, then take a bus to the Pinder’s Ferry dock. Rental cars are available once you arrive in Crown Haven. For more information about this route, contact Pinder’s Ferry at 242-365-2356. 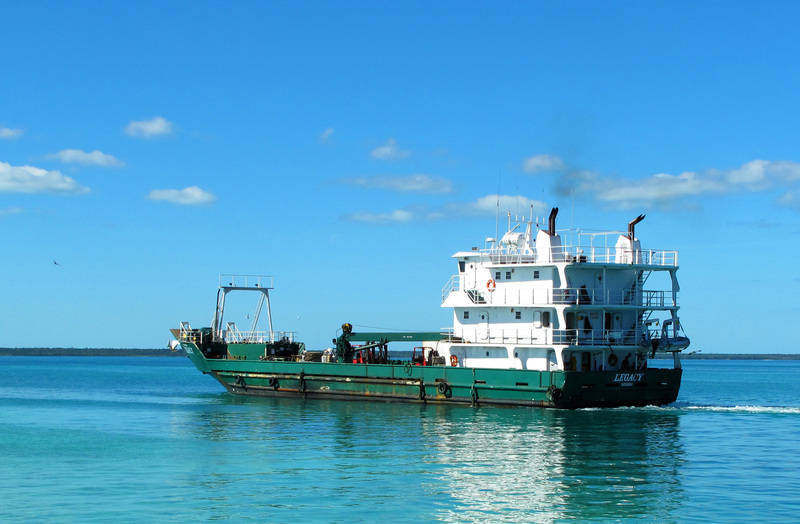 The M/V Legend sails weekly between Nassau, the Abaco mainland and Green Turtle Cay. If you’re feeling adventurous, you can also travel between Nassau and Green Turtle Cay by mailboat. For more information, click here or contact Dean’s Shipping at (242) 367-2653, (242) 394-0245 or deansshippingco@gmail.com. Many years ago I travelled to the Exumas so I have some idea of these type of travel details. Just to make the trip more interesting, though, it was September and Hurricane David (really) hit and stranded us in Miami for any extra day. There were six of us and we were lucky to get a room but there were only two twin beds! We all kind of found places to sleep (we had taken a red eye to save $) and right as everyone was dosing off, they knocked on the door and said we had to move to the downstairs ballroom for safety since the hotel was nothing but glass windows. What a night! The Hurricane made a turn though and we were able to proceed to the island and had a wonderful time. Your GTC blog always reminds me of that trip (over 40 years ago!) Hope to make it to your island someday!